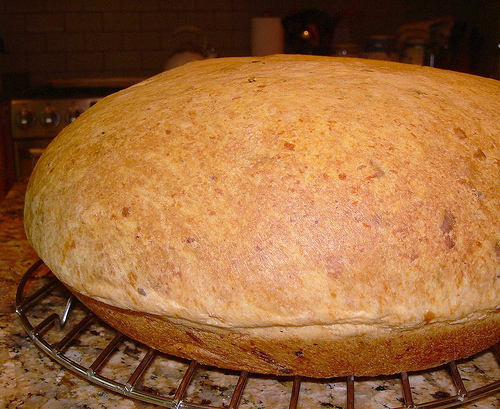 Mrs. Chow's Kitchen » Post Topic » BBA – Casatiello for Frugal Fridays! 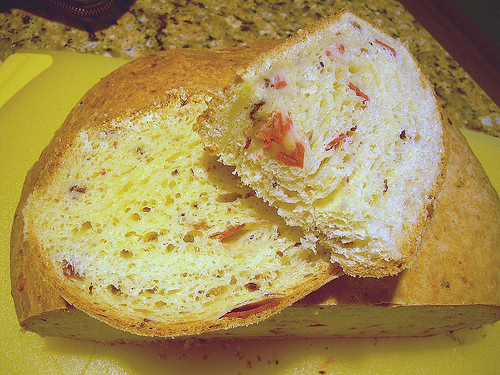 I also loved this bread. That is a beauty. If I made that I would tour the U.S. with it showing it off! That is amazing! Looks good! And great way to get some stuff out of the freezer. =) Ours was quite tasty, so being of sound mind, I baked some of it in individual portions to make it easy to give away. We loved the casatiello (I love that I don’t hesistate the spelling of it anymore too!). Your loaf looks great!